The Autodromo Santa Monica, now the Misano World Circuit Marco Simoncelli, designed in 1969 and built between 1970-72, has a long and illustrious history in the world of motor sport. It’s an appropriate place for a world class motor circuit because motor sport is particularly popular in this part of Italy – from Emilia-Romagna down to the Marche region (and including, of course, the Republic of San Marino). It’s no coincidence that some of the most famous Italian names in the MotoGP world, like Valentino Rossi and the late Marco Simoncelli grew up in this area. The circuit is in the Santa Monica area of Misano – an area that was developed in the immediate aftermath of the Second World War, when American troops established an airbase on the outskirts of Misano, naming it after the Californian city of Santa Monica. The circuit has been modified and upgraded a number of times over the years, and has played host to both the Italian Moto GP (nowadays usually held at Muggello (in Tuscanny) and the original San Marino Moto GP in the 1980s. In 2007 the circuit became the home to the annual San Marino & Riviera di Rimini Moto GP – a huge event watched by millions worldwide, and one that attracts a huge amount of visitors. Misano also plays host to the World Superbike Championships, truck racing, rally events, and the Misano Classic weekend organized in collaboration with the Italian Motorcycle Federation – a wonderful event for motorcycling history. Misano World Circuit is aprox. 20km from Rimini. There is a train station in Misano Adriatico, and a shuttle bus service operates during major events. 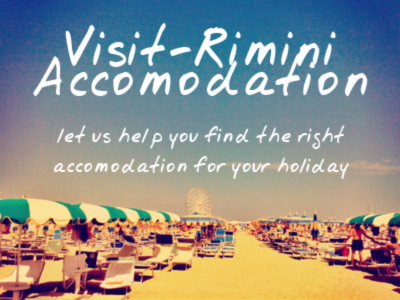 You can reach Misano Adriatico by car from Rimini taking the A14 autostrada in the direction of Ancona. Obviously you can stay in Misano Adriatico itself or nearby Cattolica (list of hotels for Misano World Circuit) but it’s also so easy to reach the circuit that it makes sense to stay in Rimini, where there’s more choice of hotels – many of which run special MotoGp packages. One of Motorsports most charismatic figures, Marco ‘Sic’ Simoncelli, came from Coriano – not far both from Rimini and Misano. In 2011 Simoncelli was tragically killed, at the age of just during an accident at the Malyasian Grand Prix in Sepang. In 2013 Misano World Circuit was renamed Misano World Circuit Marco Simoncelli in his honour, as a tribute to a sporting hero whose memory is still keenly felt in the Rimini area. The Misano circuit also hosts a specially dedicated photo gallery to Simoncelli. The circuit at Misano hosts corporate events as well as speed driving events, courses etc. The track is in use for up to 320 days a year, and has a specially dedicated hospitality team for event management etc.